Kim Jong -nam, the estranged half-brother of North Korean dictator Kim Jong-un, has reportedly been killed at an airport in Malaysia by North Korean agents wielding "poison needles." Yonhap news said Kim Jong-nam, who is believed to be in his 40s, was killed on Monday morning in Kuala Lumpur. Quoting government sources, other media reports claim Mr Kim died after being jabbed by a poisoned needle by two women in the city's airport. The women are believed to be North Korean agents but have so far been able to evade a police hunt. Police in Malaysia told Reuters that an unidentified North Korean man had died en route to hospital from Kuala Lumpur airport on Monday. Abdul Aziz Ali, police chief for the Sepang district, said the man's identity was yet to be confirmed. However, he he been widely identified by South Korean media as Kim Jong-nam. An employee in the emergency ward of Putrajaya hospital told Reuters that a deceased Korean who was born in 1970 and surnamed Kim had been taken there. Kim Jong-nam was once considered the heir apparent to Kim Jong-il, but fell out of favour in 2001 after being arrested at Tokyo's Narita Airport after trying to enter Japan on a forged Dominican Republic passport. He told police that he had wanted to visit Disneyland with his family. Exiled by his father, he lived in Macau until Kim Jong-il died in late 2011. He subsequently went into hiding, apparently out of fear that his half-brother saw him as a threat to the legitimacy of his own regime. The South Korean government is yet to respond to Yonhap News' report. According to the South Korean newspaper Chosun Ilbo, Kim Jong-nam had previously worked for North Korea's foreign ministry. He is said to have worked on resolving disputes with Japan, and was educated at a Japanese school. 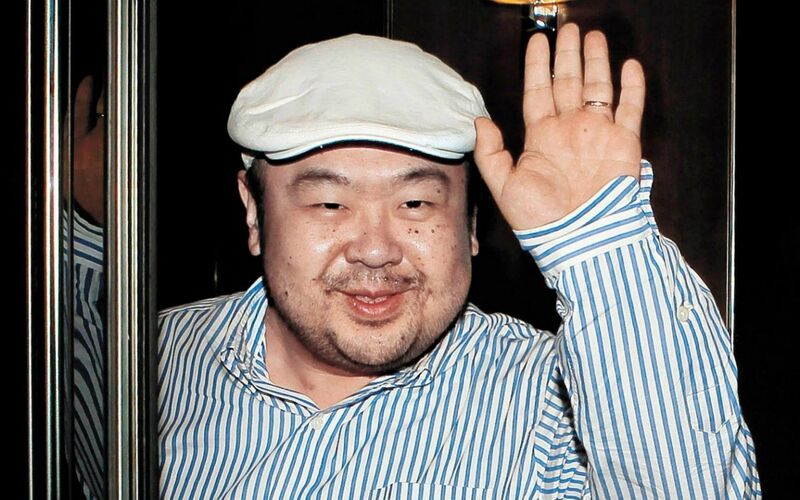 Kim Jong-nam was reportedly handed the job by Kim Jong-un himself, in what was widely viewed as an attempt by the North Korean leader to keep his enemies close. "I expect Kim Jong-un summoned Kim Jong-nam back to Pyongyang and gave him a job as he is still relatively weak and feared that other factions might support Kim Jong-nam," Toshimitsu Shigemura, a professor at Tokyo's Waseda University told the Telegraph in 2015.